It wasn't box, it wasn't field, but it absolutely was FUN! 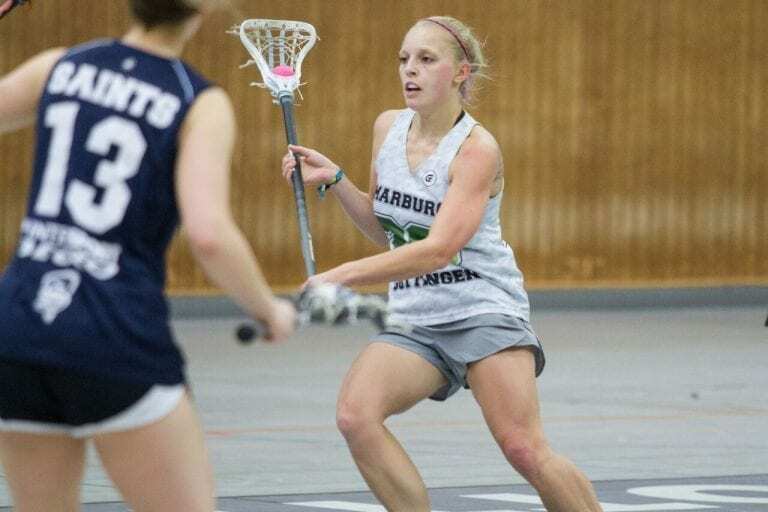 Editor’s Note: The most recent stop on the Brian Witmer world tour: Goettingen, Germany for the winter lacrosse staple, LaBox. Building hype for the 2018 World Games, the globetrotter is bouncing from event to event to hype up the summer in Israel and, of course, to play as much lacrosse as possible! I’ve written a couple pieces on various events and programs, then have gone on to talk about the impact these various individuals and organization are having on the bigger picture. 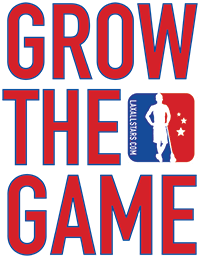 Lacrosse certainly is enjoying the positive impact of more trailblazers and grassroots “developmentalists” now than ever before. All that is well and good. If you’re out there making a difference, putting sticks in hands, and brightening the future of the game, that’s great, and I want you to keep it up. This article isn’t about that. This article is boiled down. There’s a time for training and practice. There’s a time for browsing online for the perfect gear setup. Most importantly, there’s a time when you just need to play for the fun of it. This past weekend in Goettingen (pronounced kinda like it sounds, but more German) was the annual holding of the LaBox tournament. The local Goettingen Grasshoppers have hosted nine of these tournaments every December since 2012, but this was my first. 24 teams arrived by car, van, and train to the massive facility. Equipped with two full-sized sport halls, locker rooms for every team, a viewing gallery (where most of the day was spent), and additional open spaces for vendors and food/beverage sales, this setup was an immaculate one-stop-shop for an easy and fun lacrosse weekend. Friends reunited. Hugs for any and all your acquaintances. 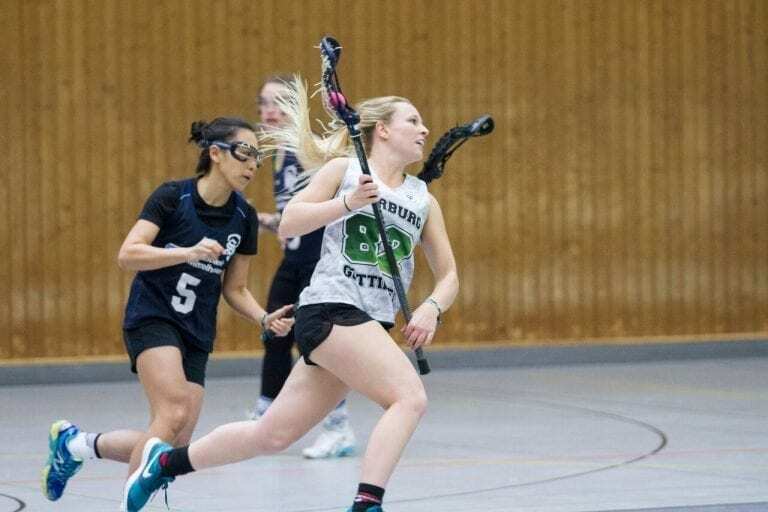 For as large an infrastructure that German lacrosse has become, the same holds true for Germany as it does the entirety of our game… it’s a small world, and you’re going to know everyone whether you like it or not. I was surprised to know as many people as I did. Truth be told, I didn’t make it inside the door of the place for a solid forty minutes upon arrival. I found Clydesider teammates outside having a drink, I found my new teammates, and I even got a meeting in with the wonderful tournament staff figuring out how I could help best… all before I could figure out where to put my bag down. Once I had figured out X, Y and Z, I decided to tackle less important issues, like where I’d be sleeping for the weekend. 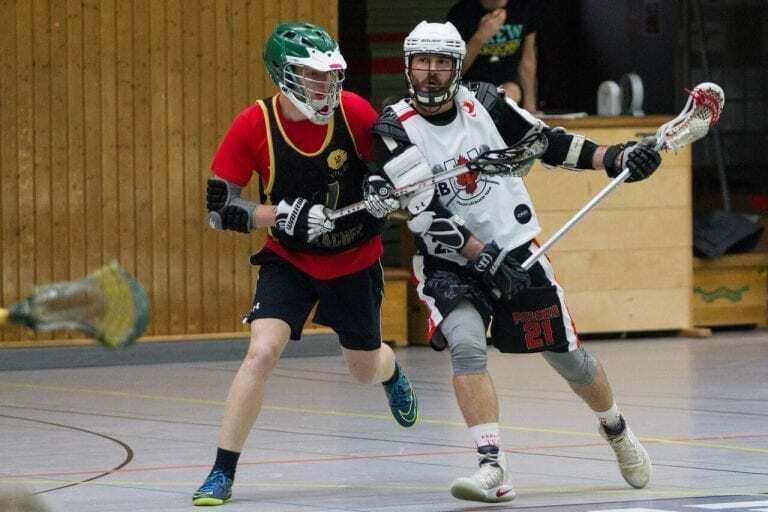 This was my first German tournament, but I’ve seen so many awesome pictures of hordes of lacrosse players sleeping in tents, cars, and wherever else a carcass can fit. I got my wish, as the entirety of the 24 teams were invited to sleep in the gymnasium for the weekend. I laid out my sleeping bag and camping pad, using my backpack for a pillow. It wasn’t the four-star hotel I was working at exactly a year prior, and I couldn’t have been happier. It wasn’t even the fact that it was obviously cheaper than a hotel room, it was the fact that it was a simpler option to solve everyone’s lodging concerns, and everyone was together. Games were slotted to start at 9am sharp in both gymnasiums. At 8:30, one of the tournament organizers, Max, started singing some song that I didn’t recognize at the top of his lungs in the gym where everyone was sleeping. Now, THIS is the power of German engineering. I don’t care if you sing, scream, or use a cattle prod, you cannot and will not get Americans out of bed and on the playing field in 30 minutes. Sure enough, every sleeping bag and it’s contents were packed away and moved in time for games to start. Breakfast rolls were one Euro ($1.20 USD). Coffee was the same. Honestly, a suitable breakfast for two bucks and instead of reading the morning paper, you could brush your teeth and watch lacrosse in Germany. How poetic. Now, this was a lacrosse tournament played indoors. Goalies wore box lacrosse equipment, for men and women, with goals to match. Guidelines were based on field rules, with some liberties taken, but unofficially. Read: it was slightly rougher than your traditional field lacrosse game, but it was surely not box lacrosse. More and more, I’ve noticed box lacrosse ‘purists’ and field lacrosse aficionados to match. Both camps need to button the lip when I say that these rules were neither field nor box. Do I care to name this hybrid? Sure, it was lacrosse. That’s what it was. It was lacrosse in a gymnasium with a different set of rules and different goals to shoot at, and it was a blast. 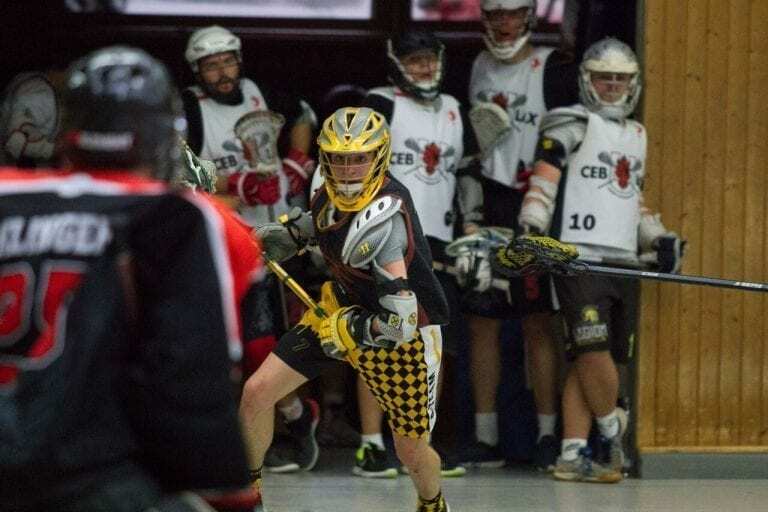 Teams from all over Germany were joined by Cebulax from Poland, as well as the Scotland Grizzlies out of Aberdeen. Before the tournament, I had been connected to the Grizzlies boys. They were running light on numbers, so I offered to play with them. You see, I was traveling to LaBox on business. My ambassador-type role with the 2018 FIL World Championships in Natanya, Israel had me traveling to LaBox to help promote the games, answer any questions about Israel/the games, and to begin recruiting players and teams for the Festival games being held in conjunction with the championships. I played with the Grizzlies because A) they were a beautiful cast of characters, and B) if you think I’m going to go to a German lacrosse tournament to promote and recruit and NOT play… well we must not have met yet. The tournament was a success in many more ways than one. If the only people that can call a tournament a success are the ones who win, then that isn’t much of a success at all. No, it wasn’t solely a win for the champions, Blax from Berlin on the men’s side and the Retronixen taking home the hardware for the women. Whether you came in first or last, an awesome time was had by all. Sidenote: the hardware for LaBox is a beautifully old-crafted nutcracker. The winning teams each were presented this nutcracker, with the obligation of bringing it back next year. Little personal touches like this are always my favorite. 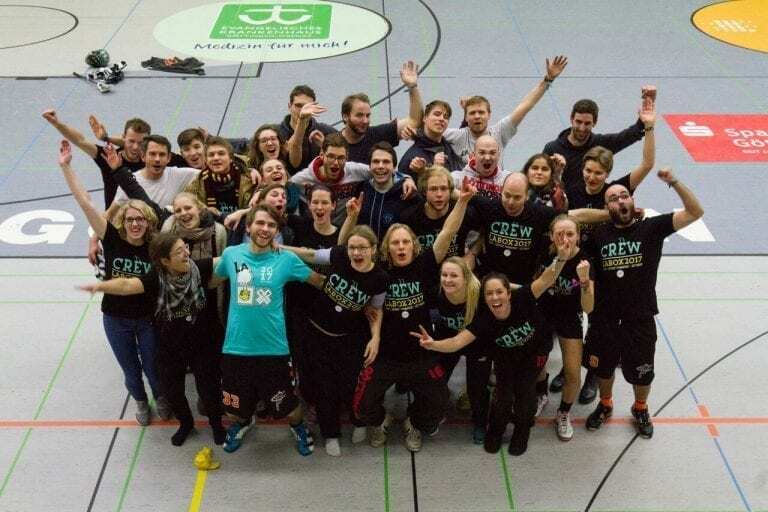 It was inexpensive, accessible to lots of players from lots of teams all over Germany and beyond, and most importantly, IT WAS FUN! I’ve said it once and I’ll say it again, it was fun. It was fun! So many of the players I spoke with were relatively green, having played for two or three years, some even less. They had just as much fun as anybody holding a trophy! The Scotland Grizzlies gave me a ride “home” to Hildesheim, Germany on their way back to Berlin when the tournament was over. I had stayed in Hildesheim the night before LaBox as well. Long-time friend and worldly lacrosse referee extraordinaire Barbara Zelenay had taken me in and given me a couch in exchange for helping her and Ryan Wallace (equally worldly lacrosse referee extraordinaire) coach a school visit at a local elementary school in town. The sport teacher had a son who has caught the lacrosse bug, and so she had begun teaching her kids to play after seeing how much her son loved it. Beautiful, right? When I got back to Hildesheim, Ryan joined us after a box lacrosse weekend in Bielefeld, Germany, and one of my favorite teammates ever, Artjom Merjasch, joined us as well. This is one of my favorite parts of the trip: the four of us just sat there. We sat on the couch. We sat at the table and ate. We just sat there, and we talked. From where I was sitting, I could look over my plate and see three of my friends who have seen the world many times over. Fitting that there was a map of the Earth spanning the entire wall in the background. Littered with pins demarcating travels. It’s a similar story, but alway a little different. Seeing old friends and making new ones at LaBox, and reconnecting with these old friends in Hildesheim. Walking the German Christmas markets and plotting how best to help lacrosse grow and spread. We made our way back to Hannover, where I would fly out to Israel to get back to coaching and teaching lacrosse in schools. It wasn’t lost on me, how different the scene of Christmas markets, the snow, and the cold that accompanied would be from the beaches, the food, and the warm sun on my back in just a few hours. Nothing about these two places were the same, yet the unifying factor being that lacrosse is opening doors for new players in both places every day. The hard work from Goettingen to Tel Aviv, Hildesheim to Netanya, is paying dividends in growing this beautiful game so that we can receive the games greatest gift: fun.